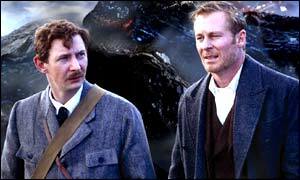 Roxburgh “In Conan Doyle, he’s a doctor of medicine. He’s a very intelligent Man. He’s hanging off Holmes’ coat-tails sometimes, but not a fool.” That is exactly how Hart plays Watson, he is all those thing, and in addition, long suffering! I found it interesting also that the discussion of the left behind cane and the terrier are omitted from the hound and the ending is significantly different. Though, come to think of it, I know of no version that is 100% true to the story. quite good. Here is a man dealing with the unknown and given charge of protecting a stranger in a strange land. Would it be any wonder that he would hold his cards close and be the receptor of information rather than the dispenser of glad tidings and jovial good will? I believe Hart places Watson exactly where he needs to be in context of the situation. Either Hound or The Case of the Silk Stocking is well worth the watching. Hound is the better of the two, but Watson is exceptional in both. I hope to see Hart play Watson again. was a member of the Everyman Youth Theatre. He studied drama at the Mabel Fletcher College of Music and Drama in Liverpool and studied video production at South Mersey College. By 1982 Hart was on the stage and in 1991 made his first appearance on film as John Lennon. 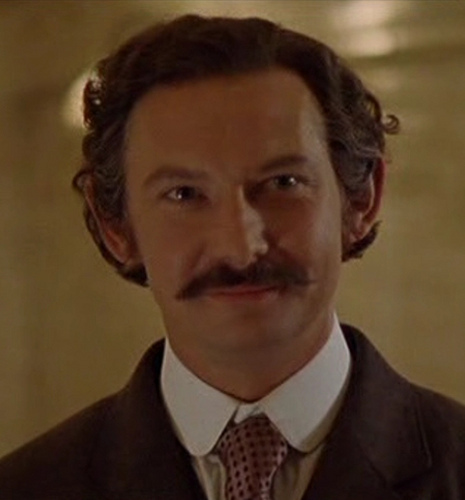 He would reprise the role in 1994 and win the Evening Standard British Film Award for Most Promising Newcomer. Hart has won three other major awards: Best Actor from the Karlovy Vary International Film Festival and the Tribeca Film Festival and Best Supporting Performer from the Venice Film Festival. Hart has in excess of 45 film or TV shows to his credit and stays very active in the theater. He is married and he and his wife Lynne have two daughters and live in Crouch End, North London.